You hit the nail on the head, but you should have also listed the obvious causes for the financial debacle we are all in… Basing the majority of our financial decisions and lives on credit and debt! As far as I know, the curriculum in High School does not include a mandatory business class that could teach the basics about budgets, the value of cash vs. credit, etc. College students, aiming for high paid pro athlete careers usually are ill prepared for the life of glamour and riches; that’s why 85% of all pro athletes are soon forgotten when they are out of the limelight! The motto should be “Cash is King”! Living from paycheck to paycheck just to cover the minimum credit card payment each month just doesn’t cut it… Of course our government has never been a good example and the current “Clown in Charge” has extended the limits of recovery far beyond what can be undone in the near or far future. 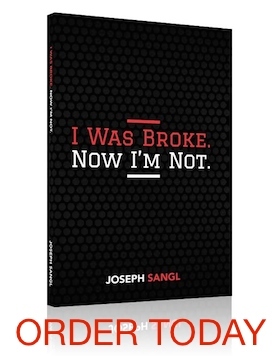 I have watched many people with incomes that have fluctuated up and down and it really doesn’t matter which end of the spectrum they are on, they are broke. My sister in law was recently in a car accident that totaled her car. The insurance company is paying her $5,000 of which she has to pay the balance of her loan against the car which is $1500. Instead of shopping for a car that costs $3500, she has opted to use that as a down payment to buy a $15,000 car. Now, she was having problems making the payment on the old car but instead of eliminating that debt she has chosen to get further in debt with a higher payment and longer term of the loan. Is it just me, or can everyone else see that is just plain silly? Absolutely Joe! And I agree with Kris, I had to learn the hard way how to budget, how to avoid debt, etc. Nobody expects us to learn how to drive on our own, why aren’t we taught this as well? Joe, Last year we took two paycuts. This month my husband was laid off. While this was a big disappointment, we will make it through. We live a frugal life. We give generously, save and plan. We drive old but reliable cars and have no consumer debt. If we lived life upside down, we would be in big trouble. Because of God’s provision and handling money His way, we have peace.